Eurovision 2102 winner Loreen, has been to Moscow to play 2 concerts. While there she gave a video interview to local media agency “Heat”. First up there is the new hairstyle. As they say a “Change is as good as a holiday”. The style is a “Short Shaggy Bob” – I have been reliably informed by my team this is the correct terminology. Being aerodynamic myself on the haircut front, I needed some help. 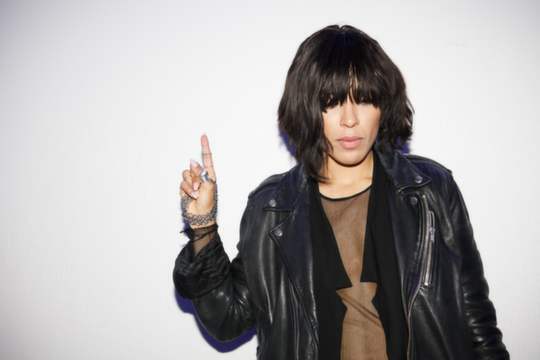 New music from Loreen will be out in February of 2014 – so set your timers for that. Reggae maybe making an appearance in the new album due to her love of Bob Marley. However the most interesting item about the interview is that Loreen during her set at the “Icon Club”, spoke to the crowd of over 2 thousand people, of her concerns of the politics in their country saying “If you want to love a girl and you’re a girl, if you want to love a boy and you’re boy…You have the right to love who ever you want”. The local audience did not respond in any fashion at all to Loreen’s comments, except for one man who said “He was straight”. The crowd engaged with her and her music but fell mute when it came to her social and political offerings. Is that because they don’t agree with her point of view or that they did not want to show support for what she was saying? You decide. If Loreen had not have made those comments I am sure her supporters in the West would have been very disappointed in her, but kudos for her being vocal on her disagreement with the new Russian legislation very publicly when in Moscow. What do you make of the crowds reaction – or lack of – to Loreen’s message?